Live from Swaziland ... it's Saturday morning! : Abortion. Suicide. Starvation. Disease. Left: Wesley (17-months-old) and Right: Julian (5-months-old). Wesley is ONE YEAR and 2 days OLDER than Julian. Wesley doesn't sit up well yet. As a former marketer I am always looking for trends, intentionally and unintentionally. I often see patterns, changes and trends, causing me to wonder if it’s the beginning of a shift in something as complicated as society, or as simple as a grocery store. I have been sensing a shift in the past six weeks as we have received 15 babies (!). May I take a moment to say that we only got one baby from December 23rd 2017 to February 28th 2018, and in an average year we receive a baby every TWO weeks. But in the past six week we have received a baby every 2.8 DAYS. I was recently been accused of taking in babies from young mothers who got pregnant by accident and don’t want their babies, like I’m a drop-off service or adoption service. That is not true, in any way, shape or form. ALL children come to us through the Social Welfare office after they have thoroughly sought any family who is willing and able to take the child. We have received children whose mother tried to abort and/or commit suicide, some have been abandoned in the forest or pit ditch, some born in a pit latrine (outhouse). I have included several photos of our children to show you real, live examples of stunting. While we expect to get these children strong and healthy, the long term effects are unknown for each child. Left to right: Cristal, Wesley, Julian. Cristal and Wesley are 17-months-old. Julian is 5-months-old. Cristal came to us as a newborn. The two boys arrived this past week. Peace (left) and Comfort (right) were born on the exact same day, the same year. Peace came as a 1.4 kg newborn baby. Comfort arrived last month. I hope, and pray, that the past six weeks have been an anomaly and that the wave of children will reside, but I may be hoping against hope. It seems that hopelessness itself is on the rise. It seems that life has become more disposable, babies are being abandoned at an alarming rate and children are dying of starvation and disease, in front of our very eyes. We can't save them all, but we sure will do our very best to save the ones who are put in front of us. Will you help us to help more children? Will you sponsor one of these little ones today? Live from eSwatini … praying for our children. P.S. 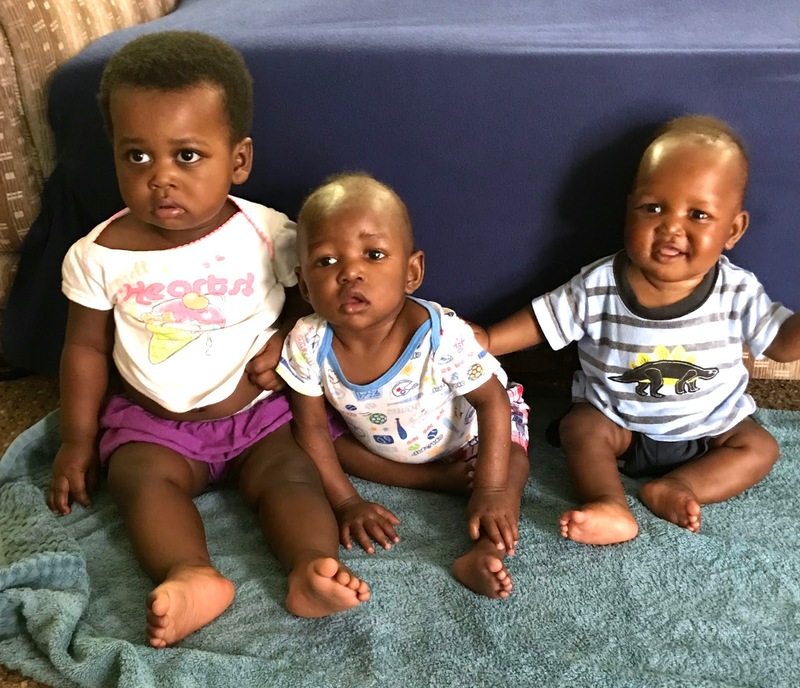 For those of you who are not aware, there is no adoption here in eSwatini for a variety of reasons, so the children placed with us are with us until they are adults. 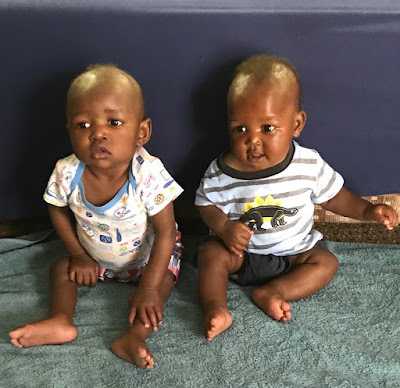 We are committed to caring for them and guiding them until they are 22-years-old and are ready to step out in to the world. Every time a new baby arrives, it’s another 22-year commitment. Every time.